The candor of this whole bouquet of white flowers, it will be a wonderful gift to send or give to someone special. Send a bouquet of white flowers for a birth, a birthday, an anniversary or a wedding is never wrong. 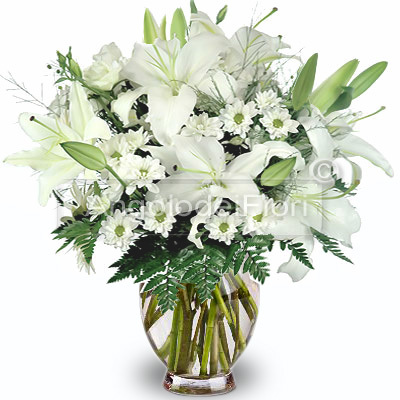 This bouquet includes white lilies, white daisies and is completed with green season.